In this post, I will show you how to implement facebook registration plugin, and I will create some examples, with custom fields, with both the iframe version and XFBML. Scroll down for the entire source code. The facebook social plugin can be used for users with a facebook account, or users without a facebook account. If the user does not have a facebook account, or if the user is not logged in to their facebook account, the below subscription form will be displayed. 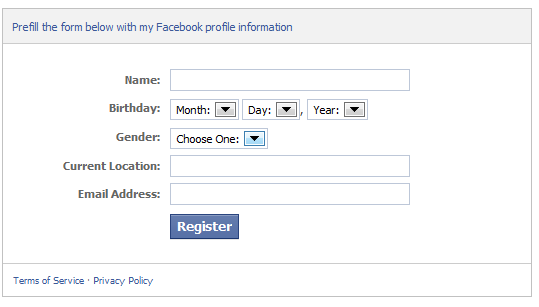 If the user has a facebook account and is logged in, the registration form will be pre-filled to save the user time. This is very useful to register the user quickly with one mouse click. 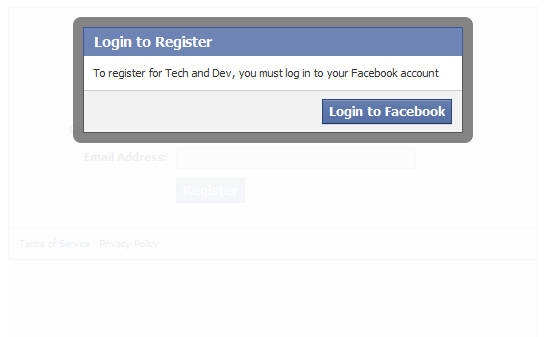 Sometimes you might only want users with a facebook account to be able to register on your site. This can be specified with a parameter that will be explained later on. 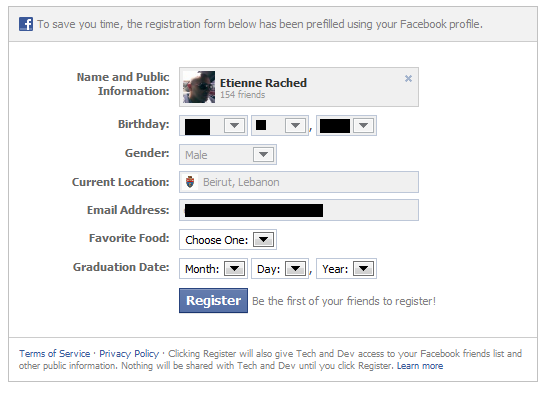 The following registration form will be displayed if the user is not logged in to facebook. You will also need to set the redirect URI, in my case, I'm going to set it to the same file location of the subscription form in order to display the output. In this example, I'm going to build the registration plugin using iframe and with custom fields. Sometimes you might only want to allow facebook users to register on your website, you can use the attribute fb_only=true to achieve this. Any questions or suggestions, please post them below! I'm not very familiar with Heroku yet, so I don't know how it's done, maybe you can find an online tutorial about it. with using custom fields i want few to remain optional but here it is getting validated how to get rid of it?